Discovery has completed its US$14.6 billion takeover of US cable rival Scripps Networks Interactive, and is now looking to the OTT opportunities the new scale provides. The new look group comprises channels such as Discovery Channel, Travel Channel, TLC, HGTV and Animal Planet among others, and owns over 8,000 hours of programming. Following completion of the deal, the Discovery Communications moniker is being discontinued and the merged company will be known simply as Discovery, Inc.
Additionally, Scripps president and CEO Kenneth Lowe has joined the Discovery board. 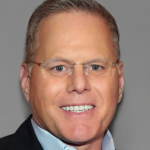 “Today marks another critical milestone for Discovery, as we become a differentiated kind of media company with the most trusted portfolio of family-friendly brands around the globe,” said David Zaslav, president and CEO of Discovery (pictured), announcing the deal yesterday. Each Scripps shareholder has received approximately US$90 per share, consisting of US$65.82 in cash and 1.0584 per share in Series C Common stock of Discovery shares. In total, they will own about 20% of the new company. Zaslav sees the deal as a key pillar in his strategy to focus on new direct-to-consumer OTT services around the world in order to attract ‘superfans’ of certain types of content. He has recently talked about the Scripps deals potentially leading to an international SVOD service akin to a Netflix or Amazon. “As a new global leader in real life entertainment, Discovery will serve loyal and passionate audiences around the world with content that inspires, informs and entertains across every screen; deliver new ways for advertisers and distributors to reach highly targeted audiences at scale; and leverage our leadership position to create new value and growth opportunities for all of our stakeholders,” he said this week. Last week, Discovery set its post-deal content team, with Discovery Channel chief Rich Ross being the most notable exit as Katheen Finch from Scripps took on lifestyle networks. Discovery buying Scripps is part of a wider trend that’s seeing US media giants partnering up to build scale. With the likes of Facebook, Apple and Netflix increasingly important in the content game, owning large IP catalogues and having strong financial footing is now seen as the blueprint for the future. AT&T is still trying to push through its deal for Time Warner despite Trump Administration protests, and CBS is once again looking at a merger with cousin Viacom.